What a charming creature greets us in this simple photograph. 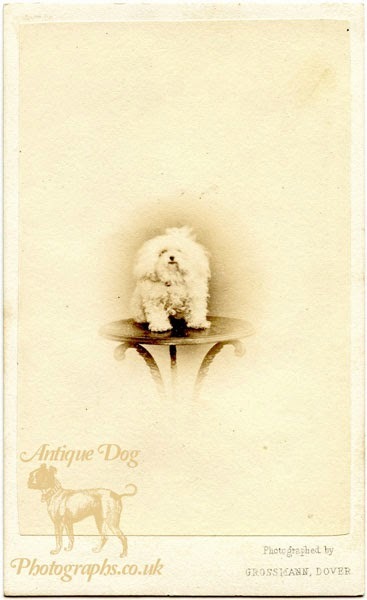 A white fluffy Maltese sits on a highly polished table for a portrait photograph. Skillfully the photographer has posed the dog on an object much darker than its fur to create superb contrast in the image. "My Photograph" for dear kind Aunt Anne with Little Lou Lou's best love..."
The silky-haired small white Maltese lap dog is the most ancient of all the laps dogs of the Western world. First imported into England during the reign of Henry VIII, they were regarded as "meet playfellows for mincing mistresses" during the reign of Elizabeth I. 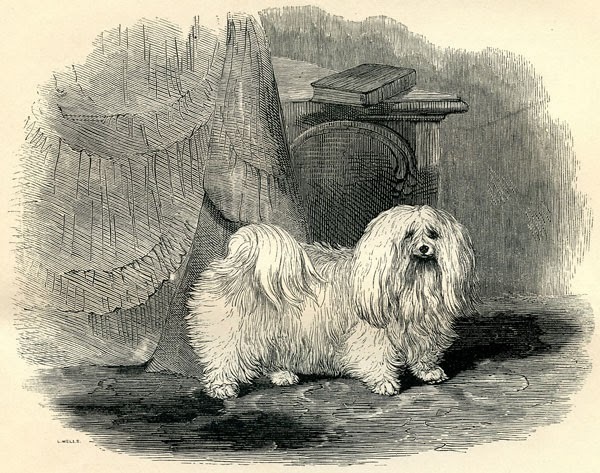 During these times the Maltese was believed to possess healing powers - the sick and ailing would put the little dogs on their stomach or chest for comfort, and they became known as the "Comforter." 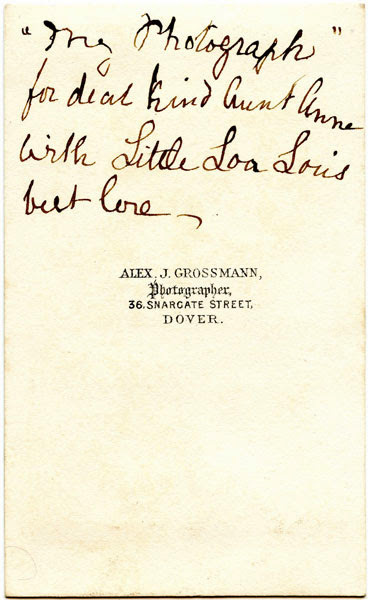 Lou Lou's photograph was taken by Alexander James Grossmann at 56 Snargate Street, Dover. 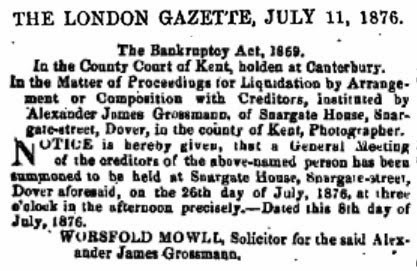 Born in 1833 in Pressbourg, Hungary - Alexander came to the UK in 1851. 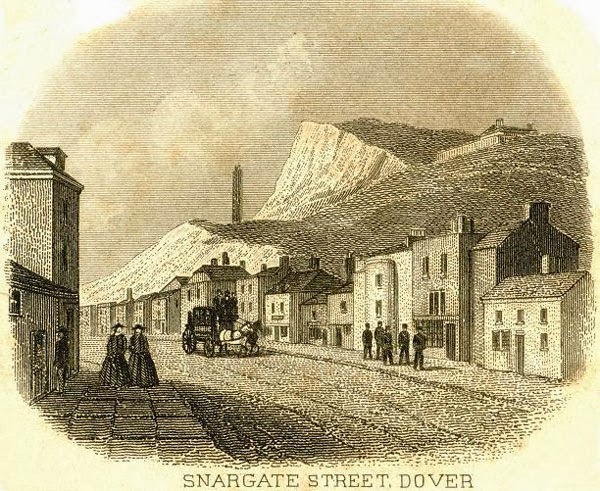 The story goes that the ship he was traveling to the England on was wrecked near the Island of Malta. He was cared for by an Anglican clergyman who converted him to Christianity and gave him the name of Alexander James Grossmann. After settling in Dover Alexander first worked as a watchmaker, and later became a photographer. For how long his business was successful I have been unable to find out. However the London Gazette tells us the Alexander became bankrupt while still at the address featured on the rear of the photo mount.